There has been no substantial change in the number of adult brain tumours since mobile phone usage sharply increased in the mid-1990s, Danish scientists say. The Danish Cancer Society looked at the rates of brain tumours among 20 to 79 year olds from Denmark, Finland, Norway and Sweden. They found that trends in cancer rates had not altered from the period before mobiles were introduced. But they say longer follow-up studies are needed. The research, published in the Journal of the National Cancer Institute, says radio frequency electromagnetic fields emitted from mobile phones have been proposed as a risk factor for brain tumours, but a biological mechanism that could explain the potential effects has not been identified. The study was based on 59,684 brain tumour cases diagnosed over 30 years from 1974 to 2003 among 16 million adults. During this time, the incidence rate of cancers known as gliomas increased gradually by 0.5% per year among men and by 0.2% per year among women. For cancers known as meningioma, the incidence rate increased by 0.8% among men and, after the early 1990's, by 3.8% among women. This more rapid change for women was driven, the researchers say, by the 60-79 year age group. Isabelle Deltour, of the Danish Cancer Society in Copenhagen who led the study said the lack of a detectable increase in tumour rates up to 2003 may suggest that the time it takes for cancer to develop from mobile phone use is longer than 10 years of exposure or that the number of tumours it promotes is too small to be detected. She said: "Our results extend those of previous studies of time trends up to 1998 by adding five years of follow-up. "Because of the high prevalence of mobile phone exposure in this population and worldwide, longer follow-up of time trends in brain tumour incidence is warranted." 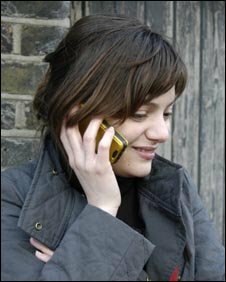 Dr Alison Ross, Cancer Research UK's senior science information officer, agreed that further research was needed: "Overall, the scientific evidence tells us that using mobile phones for less than 10 years does not increase the risk of cancer and this large study supports that conclusion. "However, brain tumours often take a very long time to develop so we will need to look for any future changes in incidence rates to see if mobile phones could pose any longer-term risks." Mike Dolan, of the Mobile Operators Association which represents all five UK network operators said: "This finding is consistent with previous studies in this field and will form part of the overall body of scientific research. "The UK mobile phone operators are supporting a large cohort study which is a recommendation of this paper."